Whenever I make guacamole I have to make lots of it, I can eat it with a spoon! 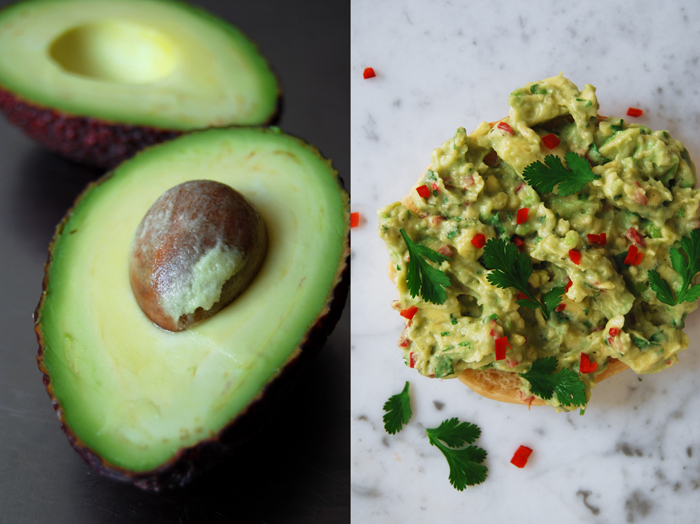 When an avocado is so smooth, ripe and buttery that you can scoop it out like an ice cream, it doesn’t really need anything more. If only there wasn’t this addictive Mexican dip which combines the fruit’s oily richness with lemon juice, coriander, salt and pepper. There are endless variations on it, I always try out new versions, this time I added some sour cream and freshly chopped red chili pepper. For this week’s Sandwich Wednesday I had a bagel in mind. I had a couple of them in my freezer from the last batch I baked (I haven’t forgotten that I still have to share the recipe, it will come soon!). For the guacamole, I chopped 2 ripe avocados roughly and mashed them with a fork, just a little as I wanted a lumpy texture. I mixed them with 2 tablespoons of sour cream, 1 tablespoon of lemon juice, salt and pepper and added 1 red chili pepper (without seeds) cut into tiny cubes and 2 tablespoons of roughly chopped coriander leaves. 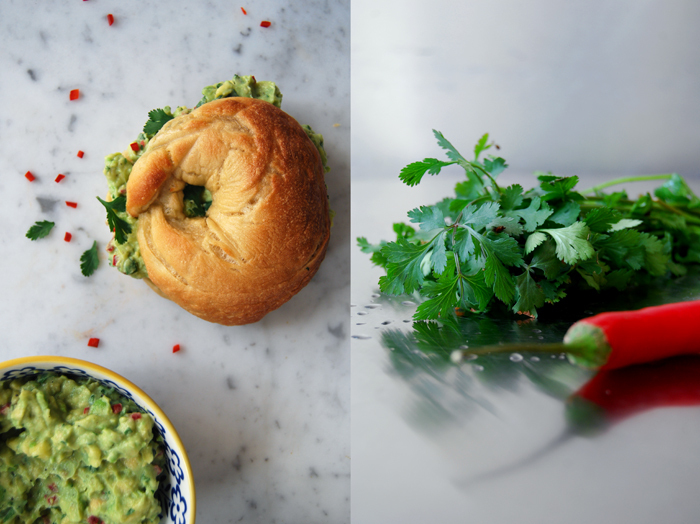 Spread on a juicy bagel or any other nice bun, it’s divine! Wow! 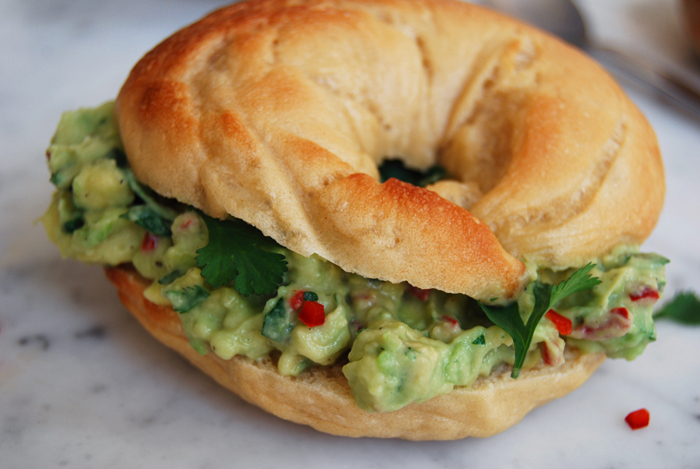 you made your own bagel too, that’s amazing, love avocadoes!